James Wilson signed the Declaration of Independence and was the Advocate General for France in America from 1779 to 1783. The states now faced serious and complicated questions about how to make their rules. What did it mean to replace royal authority with institutions based on popular rule? How was "popular sovereignty" (the idea that the people were the highest authority) to be institutionalized in the new state governments? For that matter, who were "the people"? Every state chose to answer these questions in different ways based on distinctive local experiences, but in most cases colonial traditions were continued, but modified, so that the governor (the executive) lost significant power, while the assemblies (the legislative branch, which represented the people most directly) became much more important. We'll focus on the new rules created in three states to suggest the range of answers to the question about how to organize republican governments based upon popular rule. 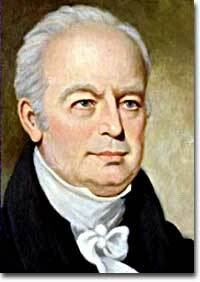 John Adams remarked that the Pennsylvania constitution of 1776 was "so democratical that it must produce confusion and every evil work." He would be elected to the Presidency in 1796. Pennsylvania created the most radical state constitution of the period. Following the idea of popular rule to its logical conclusion, Pennsylvania created a state government with several distinctive features. First, the Pennsylvania constitution of 1776 abolished property requirements for voting as well as for holding office. If you were an adult man who paid taxes, then you were allowed to vote or even to run for office. This was a dramatic expansion of who was considered a political person, but other aspects of the new state government were even more radical. Pennsylvania also became a "unicameral" government where the legislature only had one body. Furthermore, the office of the governor was entirely eliminated. Radicals in Pennsylvania observed that the governor was really just like a small-scale king and that an upper legislative body (like the House of Lords in Parliament) was supposed to represent wealthy men and aristocrats. Rather than continue those forms of government, the Pennsylvania constitution decided that "the people" could rule most effectively through a single body with complete legislative power. Many conservative Patriots met Pennsylvania's new design with horror. 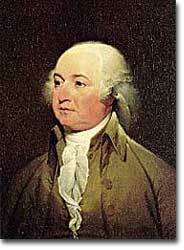 When John Adams described the Pennsylvania constitution, he only had bad things to say. To him it was "so democratical that it must produce confusion and every evil work." Clearly, popular rule did not mean sweeping democratic changes to all Patriots. South Carolina's state constitution of 1778 created new rules at the opposite end of the political spectrum from Pennsylvania. In South Carolina, white men had to possess a significant amount of property to vote, and they had to own even more property to be allowed to run for political office. In fact, these property requirements were so high that 90 percent of all white adults were prevented from running for political office! 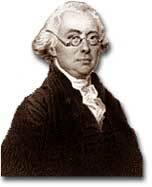 John Rutledge served as both South Carolina's president and governor. The state's original constitution, drafted in 1776, called for the election of a state president. But changes made to the document in 1778 saw the state's chief executive become known as "governor." This dramatic limitation of who could be an elected political leader reflected a central tradition of 18th-century Anglo-American political thought. Only individuals who were financially independent were believed to have the self-control to make responsible and reasonable judgments about public matters. As a result poor white men, all women, children, and African Americans (whether free or slave) were considered too dependent on others to exercise reliable political judgment. While most of these traditional exclusions from political participation have been ended in America today, age limitations remain, largely unchallenged. The creation of the Massachusetts state constitution of 1780 offered yet another way to answer some of the questions about the role of "the people" in creating a republican government. When the state legislature presented the voters with a proposed constitution in 1778, it was rejected because the people thought that this was too important an issue for the government to present to the people. If the government could make its own rules, then it could change them whenever it wanted and easily take away peoples' liberties. Following through on this logic, Massachusetts held a special convention in 1780 where specially elected representatives met to decide on the best framework for the new state government. This idea of a special convention of the people to decide important constitutional issues was part of a new way of thinking about popular rule that would play a central role in the ratification of the national Constitution in 1787-1788. The Massachusetts constitution marked a new level of citizen participation in government. The idea of a convention greatly altered constitutional decision making. Click on the link to read the full text of the 1780 constitution. What role should the state play in the religious lives of its people? Should the government lend support to the churches? These questions have often been asked by fledgling governments, and the early American states were no different. Visit this Library of Congress site for an overview of the question, with sections on the Massachusetts constitution of 1780 and the debate in Virginia. Includes several pictures of the original documents. Produced by the state of Pennsylvania, this site offers access to info on the current session of the general assembly as well as an excellent history of Pennsylvania that spans from colonization to modern times. Visit the welcome center for the historical angle and pictures of one of the most lavish capitol buildings in the country. Tutorial on the evolution of Pennsylvania's government. The U.S. Constitution was actually the 14th such document of the new republic. Each state had been operating under its own constitution since the Revolution, although some were pretty much just the colonial charters without the word "king." Many even had bills of rights. Learn about James Madison and the state constitutions from PBS's extensive "Liberty! Chronicles of the Revolution". Play the Road to Revolution game while you are here. Over 200 years since that first constitution in 1776, the Commonwealth of Pennsylvania continues to thrive. Click below to visit their official website and learn more about Pennsylvania's history, culture, people, and more. Debates on popular sovereignty pop up in unlikely places. This one, from Monty Python, pits King Arthur against a commoner.